Brainwashed - Brainwashed Premiere: Dylan Cameron "Graceless Gods"
Brainwashed Premiere: Dylan Cameron "Graceless Gods"
This week Brainwashed is pleased to premiere Dylan Cameron’s “Graceless Gods”, part of the massive digital compilation the Holodeck label is releasing this week to commemorate their 50th release. "Graceless Gods" is a fitting teaser for the release, capturing everything he (as well as the label) excels at: heavy danceable beats, prickly, pulsating analog synths, and immaculate attention to sonic detail and production. 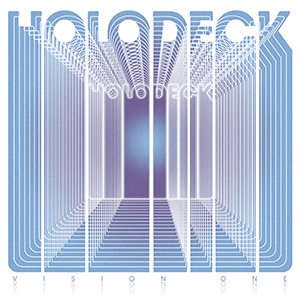 Holodeck Vision One features 30 artists from the label's past and present, as well as close associates such as Troller, Drab Majesty, and Michael Stein, and is available digitally on March 9. Dylan Cameron will also performing at both of the upcoming Holodeck SXSW showcases on March 15 at Hotel Vegas and March 17 at Central Presbyterian.